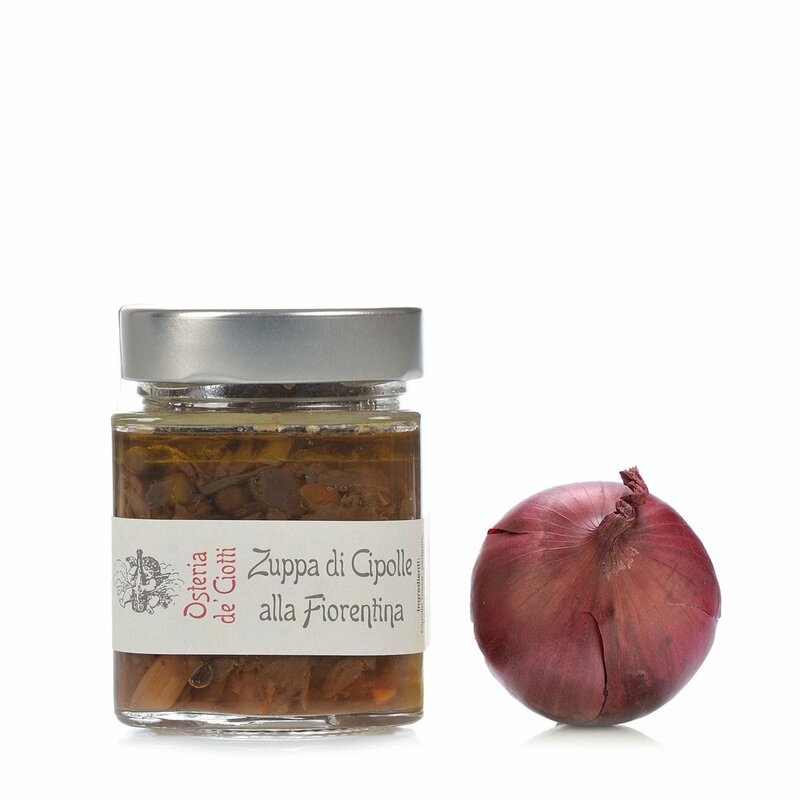 Onion soup has been present in Tuscan recipe books since 1500, and represents a cornerstone of regional gastronomic tradition, in particular that of Florence. The onions are cooked together with the celery, carrots and peas, with the addition of high quality salt, pepper and extra virgin olive oil. To enjoy this soup at its best, heat it up and serve it with slightly toasted slices of bread. Ingredients Onions, celery, carrots, peas, extra virgin olive oil, salt and pepper. Allergens: celery and celery-based products. For more information on product labels, please contact our Customer Service department. The information on the labels of the products may vary for reasons beyond our control, therefore, there may be discrepancies between the information on the site and that on the products delivered. Please always check the information on the product before consumption or use.